SUMMER is on its way… along with the swallows, blossoming gardens and sunny days, and there will be the annual Claragh Bridge vintage show… no summer would be complete without it! 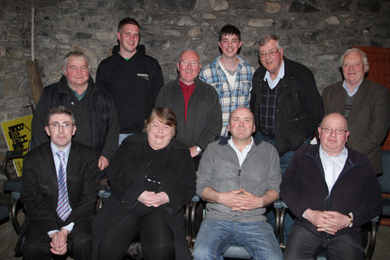 This is a special tenth anniversary year too as Claragh Bridge Vintage Club (Ltd) held their Annual General Meeting on Wednesday 24 April in the Blacksmith’s Shop at Claragh near Castlewellan and they are preparing for their celebrations. The Claragh Bridge Management Team: back row, Frances Sloan, Patrick O’Connor, Patrick Burns, David Milling, Joe Grieve, and Bill Palmer, with front row, Councillor Patrick Clarke, Elizabeth Doyle, secretary, Liam Quinn, chairman and Liam O’Connor, treasurer. Chairperson Liam Quinn said: “2012 was one of the club’s busiest ever years since the founding of the club back in 2004. This cross-community vintage classic and agricultural show attracted record entries and crowds attending the show at Drumaroad. Preparations are already now in full swing for the forthcoming tenth anniversary cross-community vintage, classic and agricultural show scheduled to take place on Saturday 27 July from 11.00am at B175 Ballynahinch Road, Drumaroad. Vehicle entries are now being accepted for this year’s show and insertion into the 2012 show programme. All entries must be submitted by 28 June to guarantee insertion in the 2013 show programme. As in previous years vehicle entries can also still be registered on the day of the show. Stall holders and trade stands wishing to also exhibit in either the country market and craft fayre marquee or in the show field are also recommended to make an early booking with the club secretary. 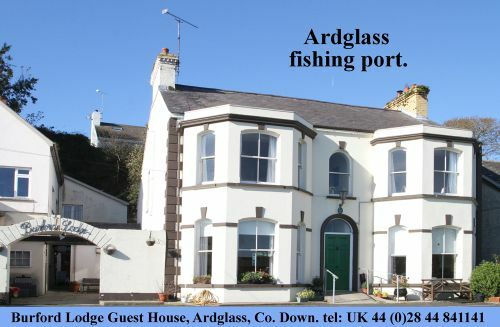 For further details and all enquiries please contact Secretary Elizabeth Doyle on 028 44 811518 or 0777 9788771. This year’s show promises to once again be a popular family day out in Drumaroad with a wide range of various types of vehicles, events, competitions, exhibition stands, musical entertainment, and much much more.